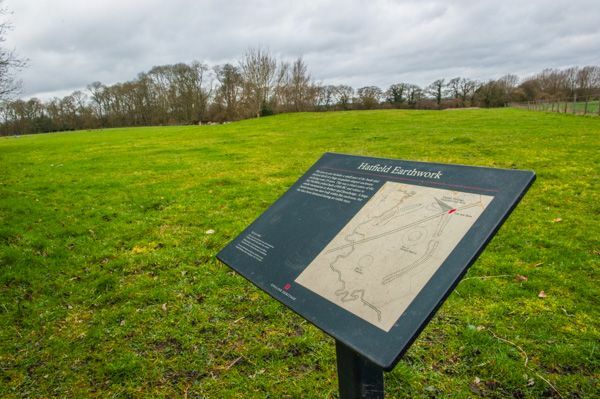 Hatfield Earthworks is a Neolithic henge and mound, located beside the River Avon. 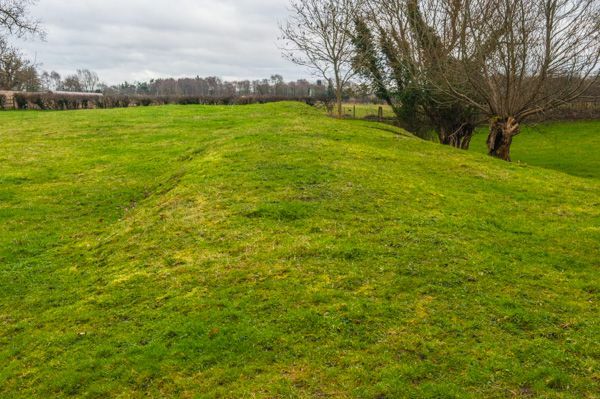 The henge is bounded by a bank and internal ditch and encloses an area of about 35 acres. 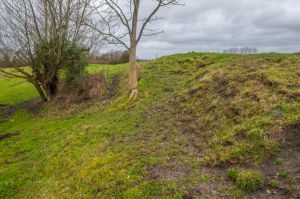 The earthworks are incomplete, especially on the southwest facing river side of the site, and there are two causewayed entrances. 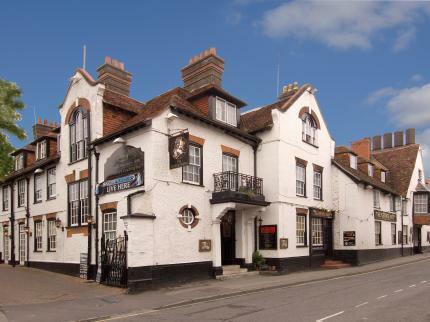 During the 18th century, a skeleton and deer antlers were found within the bank. the 20th-century investigation yielded Neolithic pottery, animal bones, antler picks, stone tools, and another human skeleton from the ditch. A Romano-British disc brooch made of bronze was also found. Post holes near the northern entrance indicate the possible presence of a roofed building within the enclosure, about 10 metres in diameter. 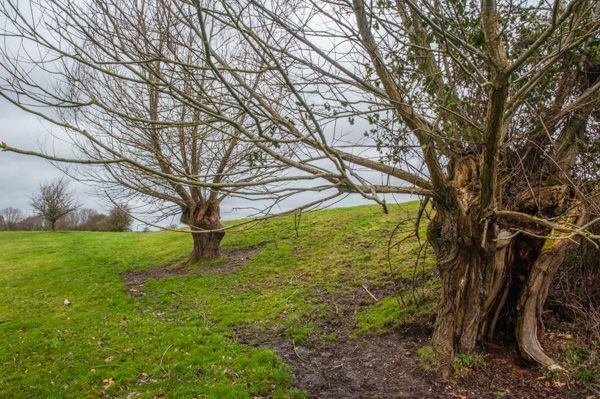 This structure is in the same position and is the same size as a similar structure at Durrington Walls, another riverside site about 10 miles away. This would suggest that the two sites are linked in some way, or that at the very least they were used by the same peoples at the same time. The bank stands to a height of 2.5 metres and is from 20-30 metres wide. The ditch was originally 2 metres deep and up to 25 metres wide. 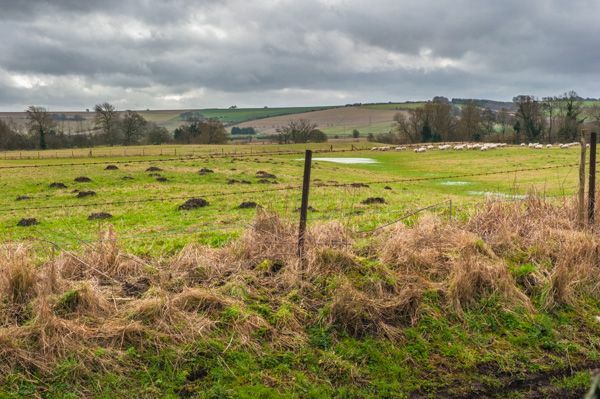 A pair of round barrows lie within the henge, including Hatfield Barrow, the remains of a large mound barrow which once stood 50 feet high, and 70 yards in diameter. It can be extremely difficult to find the henge; there is no sign, and no indication of the monument until you are practically on top of it. The henge is just north of Marden village, on the north-west side of the lane towards Woodborough. There is a layby on the opposite side of the lane, and a stile allowing access through a gap in the hedge. It is only after you climb the stile that you can see the English Heritage information panel, with a plan of the site and a few paragraphs of information. Only a small area of the earthworks are accessible, and these are quite worn so that it can be difficult to get a sense of the layout. The sitemap shows a large barrow in the field across the road, but there is nothing visible now to indicate where the barrow might have stood.